This Coronado Beach House was so much fun to furnish. We incorporated lots of color and pattern into this house to creative a playful yet relaxing atmosphere. 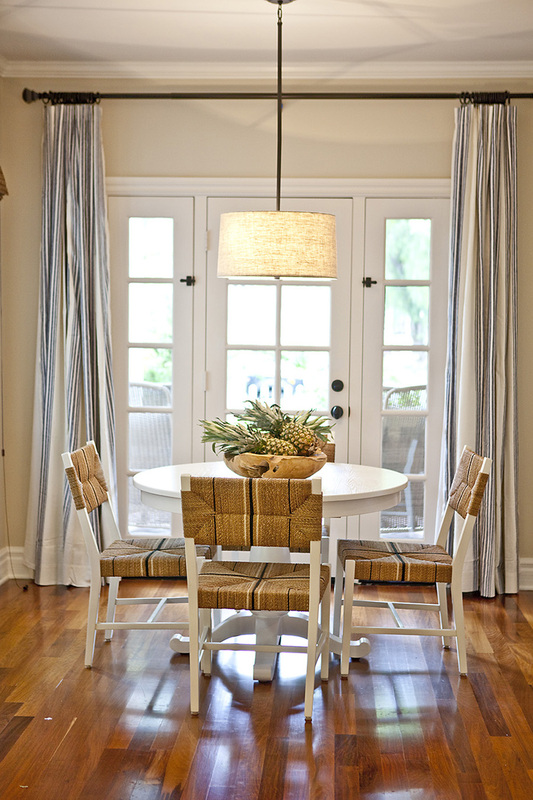 We used wicker chairs in the dining room with Serena and Lily barstools in the kitchen to keep a beachy feel. 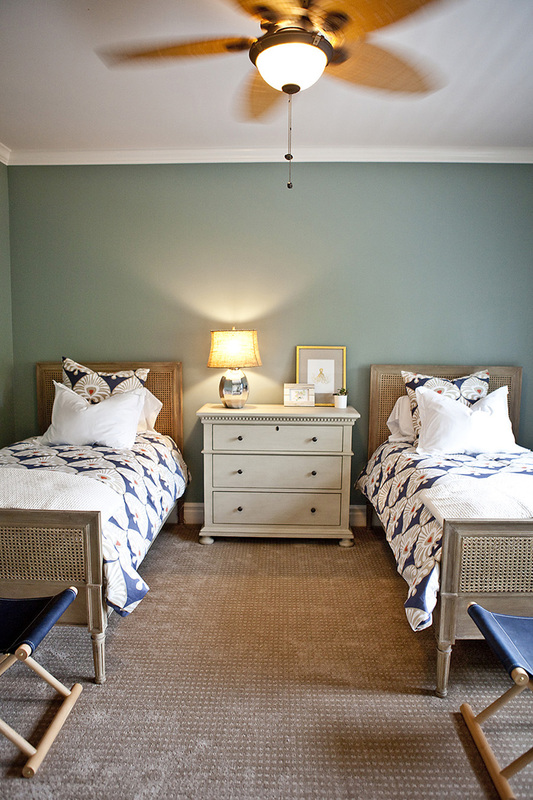 We painted the kids room a soothing blue and then added navy and a small pop of red in the bedding. In the guest room we used pastel pillows with a small pop of yellow in the bench seat. We just love how this adorable house turned out!